Investors of every risk profile have returned to the commercial real estate marketplace looking for compelling, risk adjusted investment opportunities. 2014 will go down in history as the year “normalcy” returned to the marketplace. The increase in competition for investment opportunities is fierce due to the return of low cost, compelling senior debt. The real estate capital markets are witnessing aggressive competition between agency lenders, insurance companies, banks and CMBS lenders for the highest quality loans from the best sponsors. This has resulted in well located, well managed, stabilized Core assets that come to market being previewed by 100+ prospects, toured by 50+ investors, with 25+ offers the norm to result a sale to just one successful bidder. That successful buyer is chosen from all the offers because they are willing to pay a top price AND they are willing to close quickly without being contingent on financing. A recent article in the Sun Sentinel (see link) explains the backstory of the sale of the largest apartment community sold year to date in South Florida for $80+ million. How does a real estate entrepreneur compete? Entrepreneurial investors that survived the Dark Days of the Great Recession have woken up from a six year hibernation. The entrepreneurs realize that they are not able to compete with the REITs and Multi-Billion Dollar Wall Street Funds in the beauty contest of bidding on Core assets. The smartest entrepreneurs have refocused their energies on value added projects and new development opportunities. When they return to the market seeking capital they are met with the brutal reality that eye-ball popping leverage levels from the go-go days of the mid-2000s have dropped dramatically. 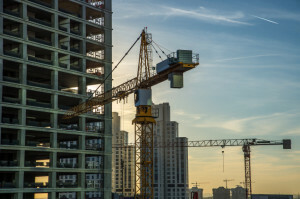 Developers that regularly levered to 80-85-90+% of cost from a single capital provider have been confronted by the harsh reality that providers of large, senior construction loans want to top off leverage in the 50 to 60% range. If a developer can bring 10-20% to the party, how do they fill the gap of 20 to 40% of cost? To discuss a specific project contact David Repkaby email or phone. For a more detailed report follow this link to download our white paper from our data vault titled: “What capital raising secret do the mega developers know that you don’t?” If you are having a problem accessing the white paper from our data vault on box please send an email to moc.laicnanifnosibnull@evad with MEGA DEVELOPER in the subject line. ← What is “Promotable Preferred Equity”?